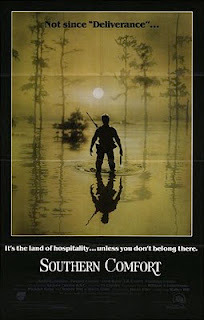 Everybody's seen Deliverance. It's heralded as a timeless classic. Oddly enough, very few seems to be aware that there is another film that does much of the same, a tiny bit better. 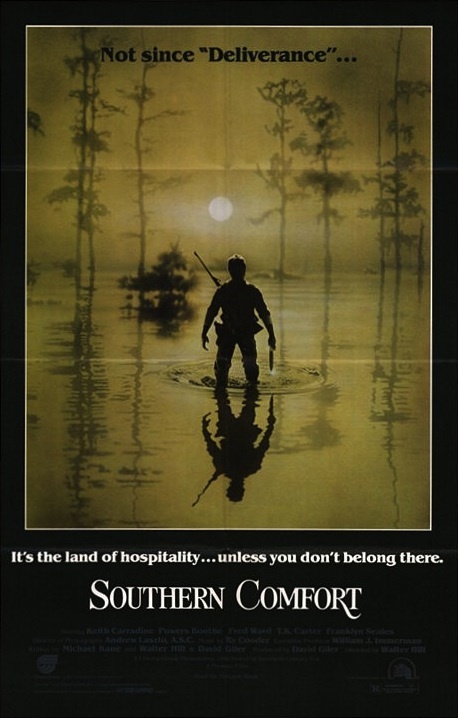 This film is Southern Comfort. Call it a rip-off, or remake even; it's still a great film. This is another film by legendary Walter Hill, who has given us several other classic nerve-splitting masterpieces. The gloomy mood throughout the film will keep you on edge from beginning to end, and the twists and turns of the plot will shake you all around. Brilliant performances all around, makes this into one claustrophobic experience you don't want to miss.